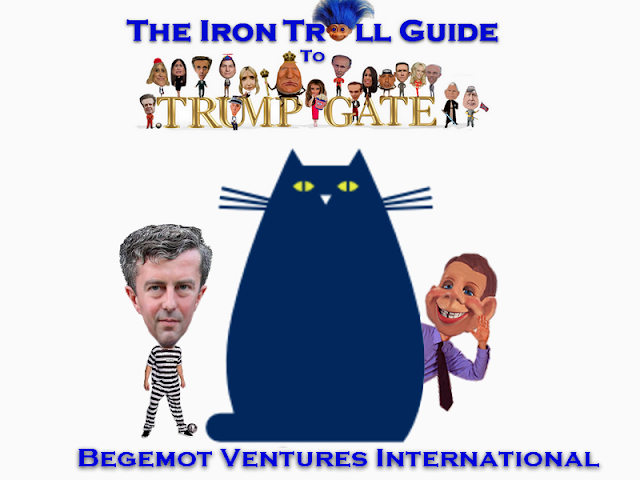 Begemot Ventures is the consulting business created by TrumpGate conspirators, Sam Patten and Konstantin Kilimnik in 2015. The company is located at 1225 Constitution in Washington DC, but according to Patten, it did all of its business overseas. 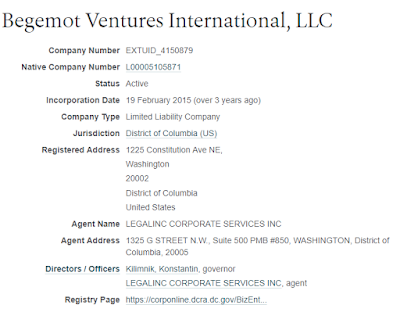 Begemot Ventures is appropriately named. Begemot is the name of a gigantic, obnoxious, demonic black cat in the novel, The Master and Margarita, by Russian author, Mikhail Bulgakov. Patton pleaded guilty in a plea agareement with special prosecutor Mueller on August 31st, 2018. His partner, Kilimnik, fled to Russia some time ago and was indicted in abstentia by Mueller in June of 2018 for obstruction of justice.